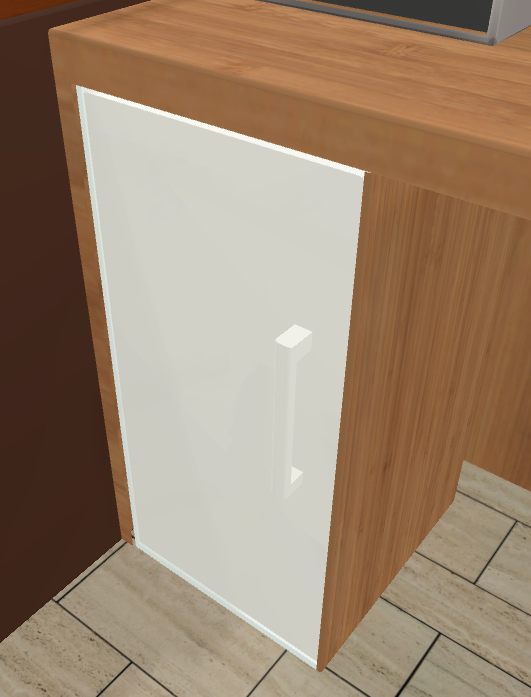 The "Handle" GameObject is the one which should react to the player's hand. Therefore, it was also separated from the door itself. 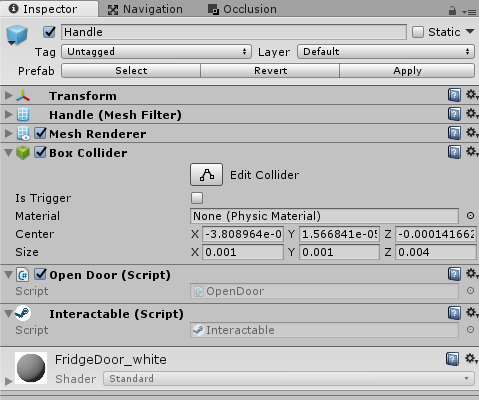 The handle needs two components: The Interactable component which is part of the interaction system, a collider and the script OpenDoor which is explained further below. * This class is attached to a door handle. The door handle is child of a door. // Cross product between force and direction. The two methods HandHoverUpdate and OnHandHoverEnd are specific to the SteamVR interaction system. They are called by the interaction system every frame the hand hovers over an interactable object and when the hovering ends respectively. Basically, we are using the cross product of the force vector (pulling force of the hand) and the vector that points from the door's hinge to the transform where the hand is holding the handle (called "doorPivotToHand" vector). Together with the angle between the force vector and the "doorPivotToHand" vector, the angularVelocity is calculated and applied in FixedUpdate(). 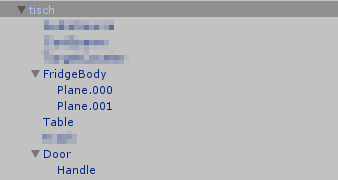 Note that FixedUpdate should be used and not Update, since we are changing a RigidBody's angular velocity. 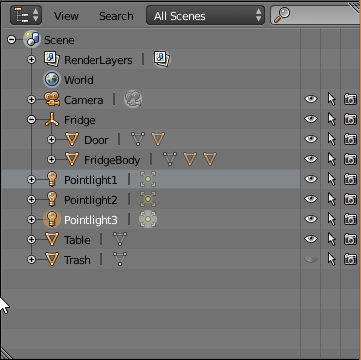 The GameObject "FridgeBody" needs a rigidbody with enabled isKinematic property and gravity equal false because we don't want the body to be controlled by the physics system and influenced by gravity. It is mandatory for the HingeJoint to work though. 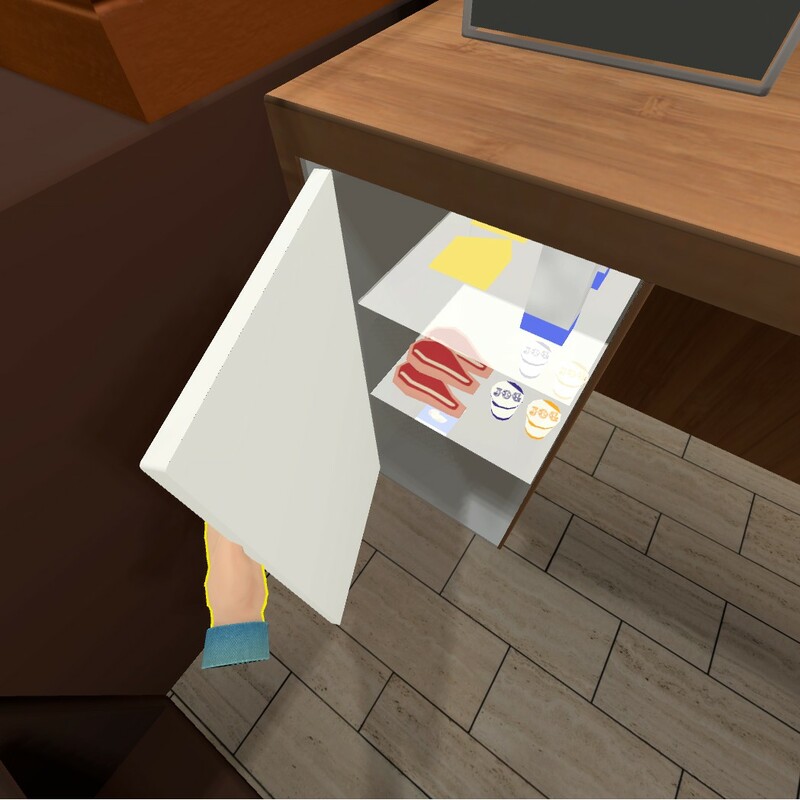 I hope you found this little insight into our game Shopkeeper Simulator VR helpful for your own projects. If you found this useful, please leave a comment below and/or share the article! Also post any questions you might have.